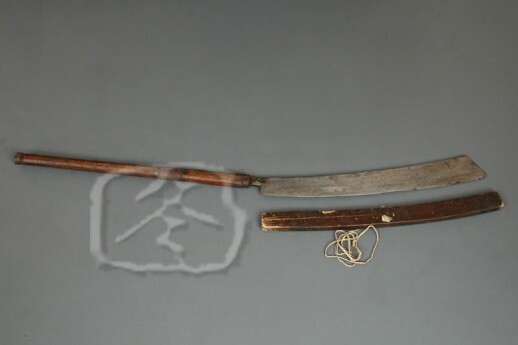 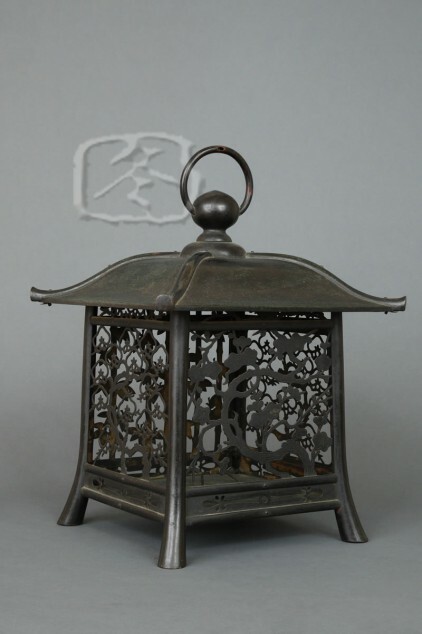 This large and unusual ‘jizai’ is square sided and can be extended to double its length. 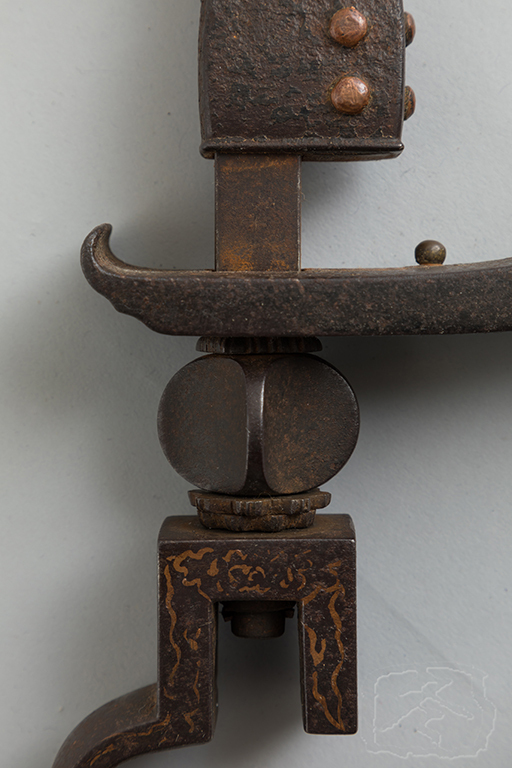 There is an iron loop at one end to attach to a ceiling beam. 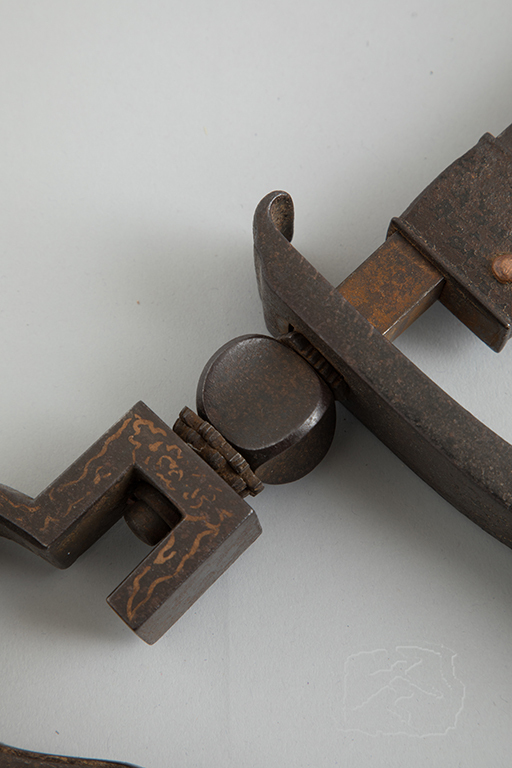 The hook end would hang over a Japanese ‘irori’ (open hearth place). 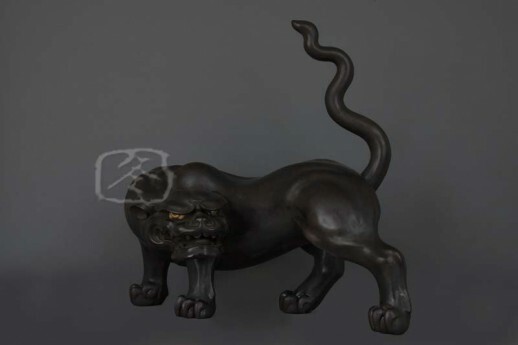 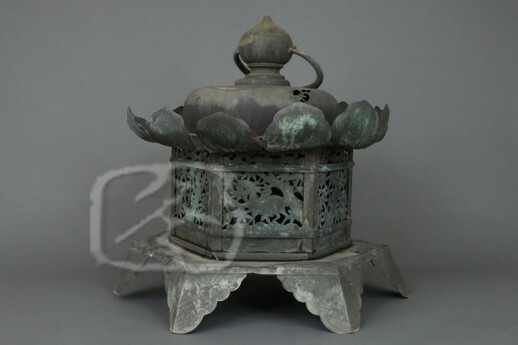 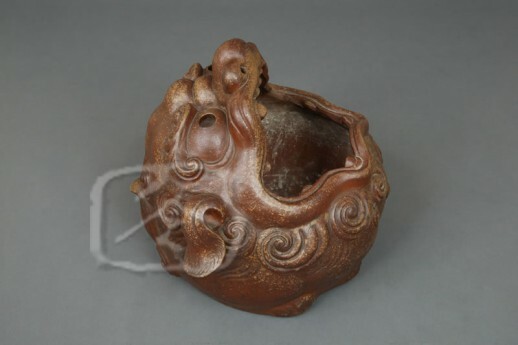 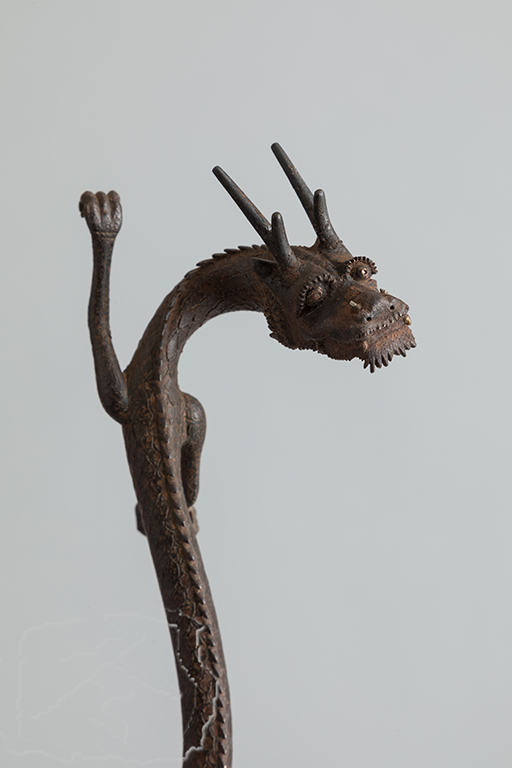 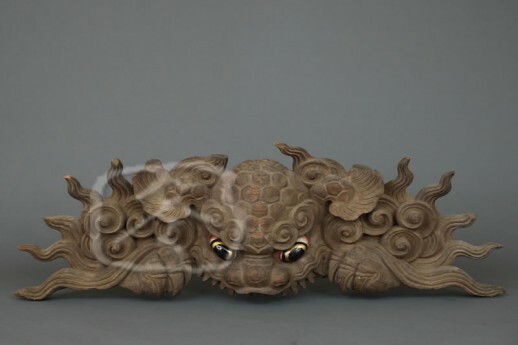 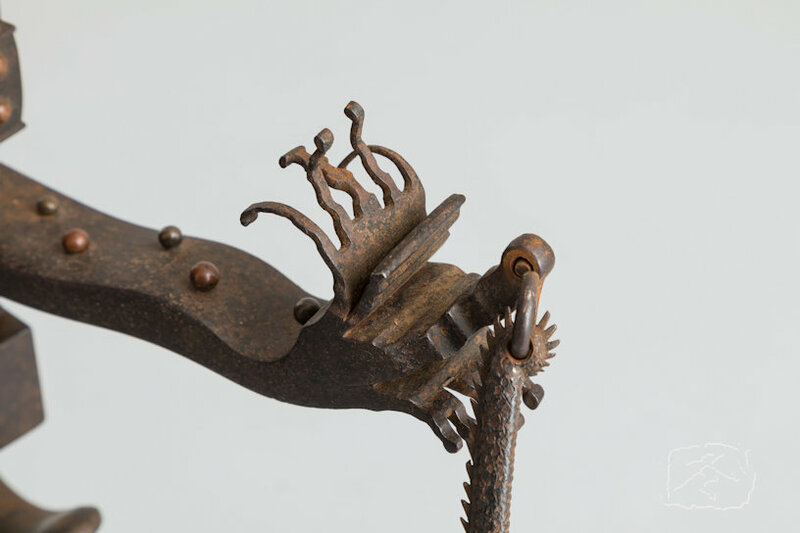 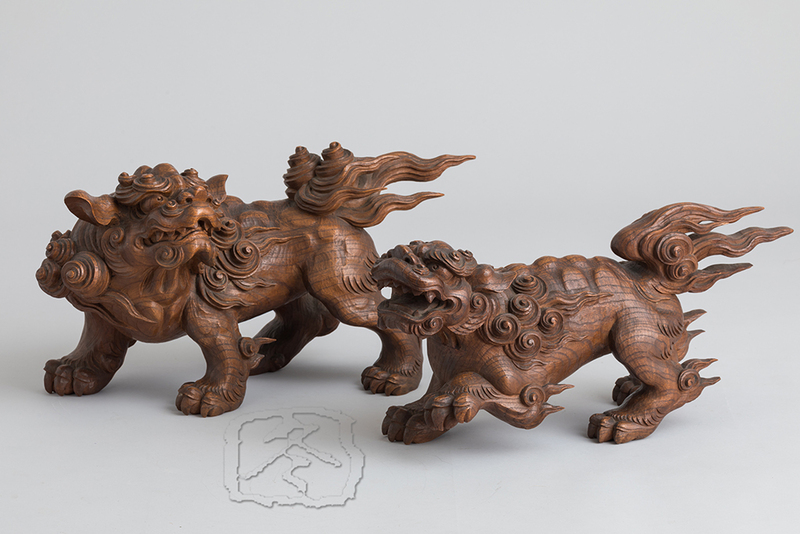 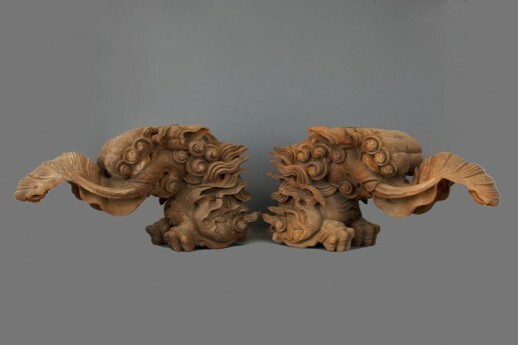 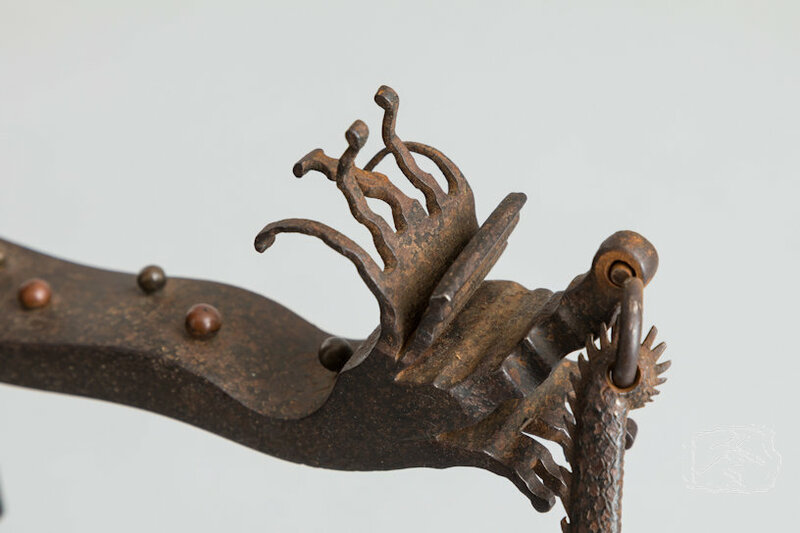 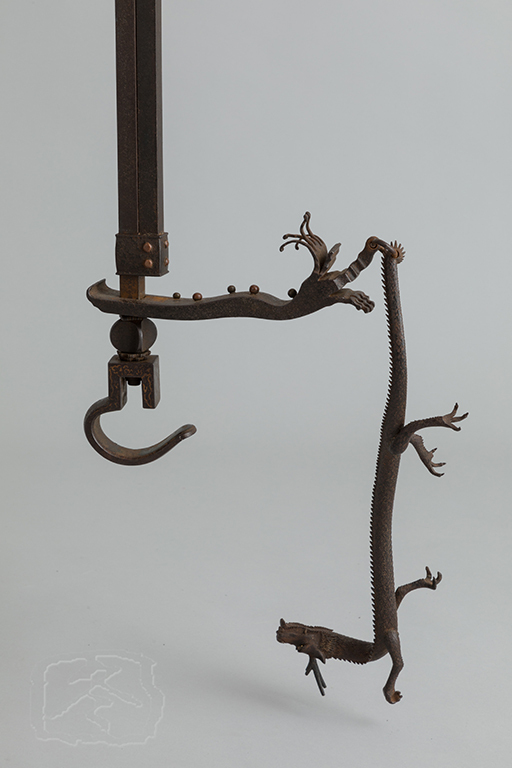 A finely carved dragon is suspended from a piece of iron in the form of a wave and appears to be peering at the kettle or pot which would be hanging from the copper inlaid hook.